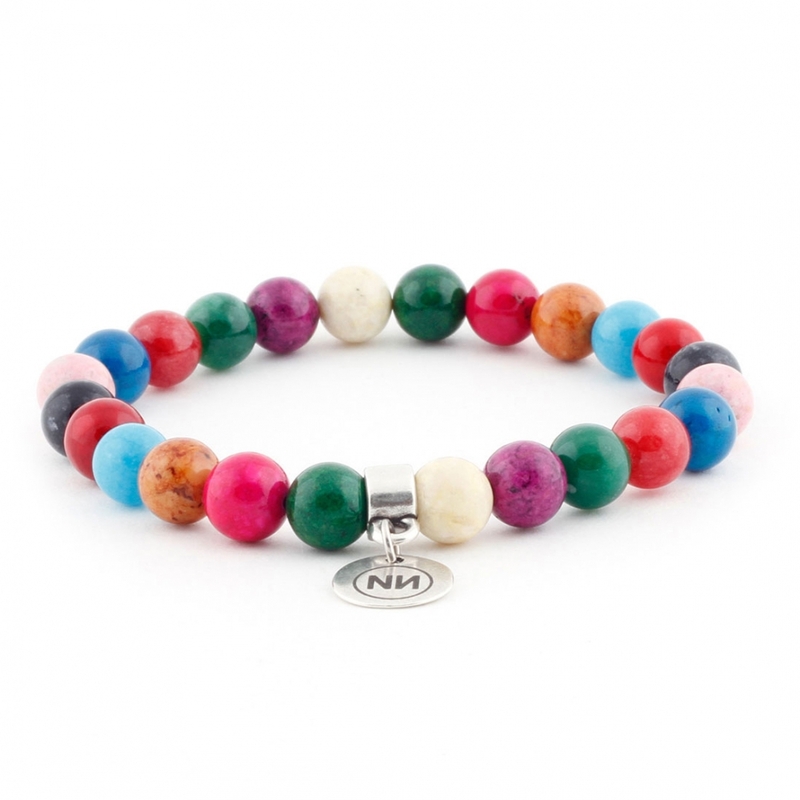 Bracelet handmade using traditional methods for implementation Mix of semiprecious stones Marble stained. 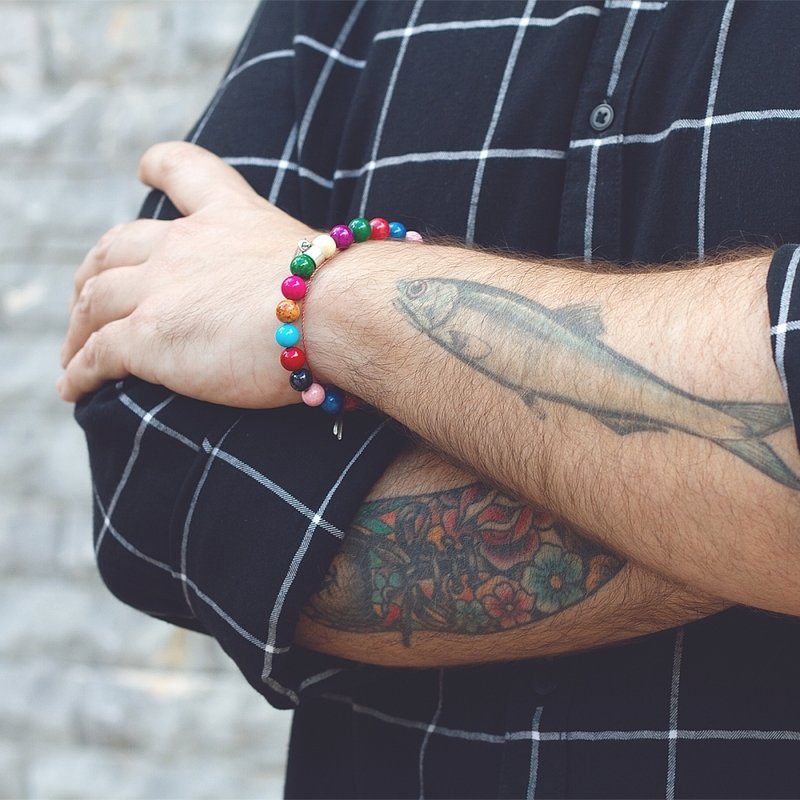 Remember that every stone is unique with its own and little nuances, so no two bracelets are exactly alike. Payment is made through PayPal gateway secure and you pay with your credit card, debit card or PayPal account. The bearings are always FREE for all orders and any destination worldwide. 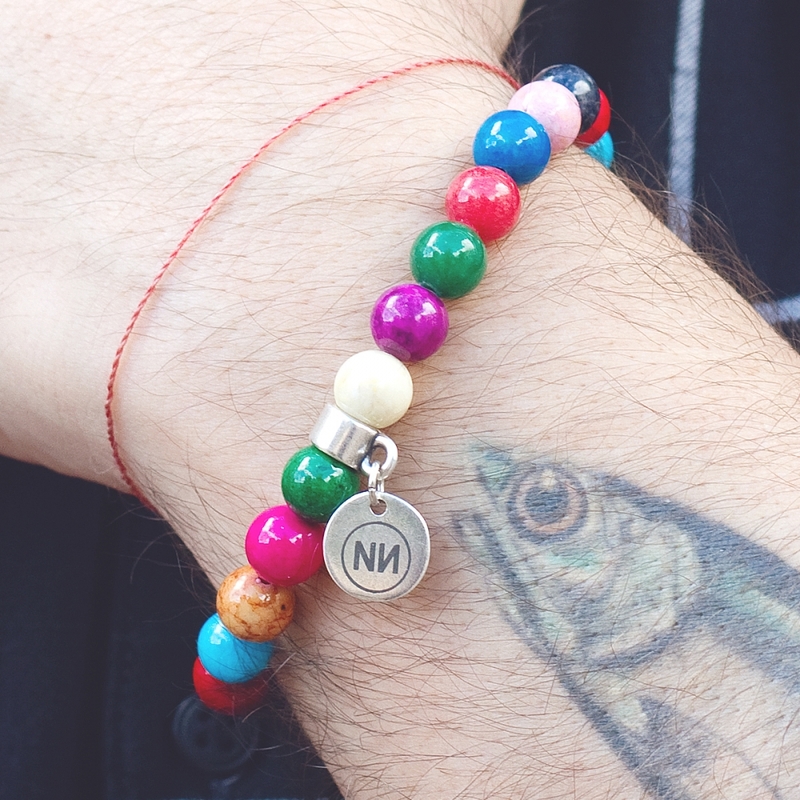 A bold and colorful bracelet from the collection IMAGINATION whose design uses a mix of different semiprecious stones Marble stained hanging over our hand-engraved logo ¨NИ¨ Zamak plated sterling silver. All this combined with an elastic memory triple which strengthens and facilitates placement on the wrist by a simple and easy movement. • Emerald Marble, stone emerald green, soft touch and a spectacular natural glow. • Pink marble, a stone of pink, soft touch and a spectacular natural glow. • Brown marble, stone brown with dark streaks, soft touch and a spectacular natural glow. • Light blue glass marble, a stone of azure glass, soft touch and a spectacular natural glow. • Coral marble, a stone of reddish, similar to coral, soft touch and a spectacular natural glow. • Gray marble, a stone dark gray with light gray streaks or spots, soft touch and a spectacular natural glow. • Pink Marble, stone pink with multiple hues and veins, soft touch and a spectacular natural glow. • Blue marble, a stone of blue color, soft touch and a spectacular natural glow. • Marble red raspberry, raspberry red stone color, soft touch and a spectacular natural glow. • Glassy green marble, a stone of green glass with multiple shades, soft touch and a spectacular natural glow. • Marble amethyst, violet stone with multiple hues and veins, soft touch and a spectacular natural glow. • Marble sand, stone creamy yellow with multiple hues and streaks reminiscent of sand, soft touch and a spectacular natural glow. 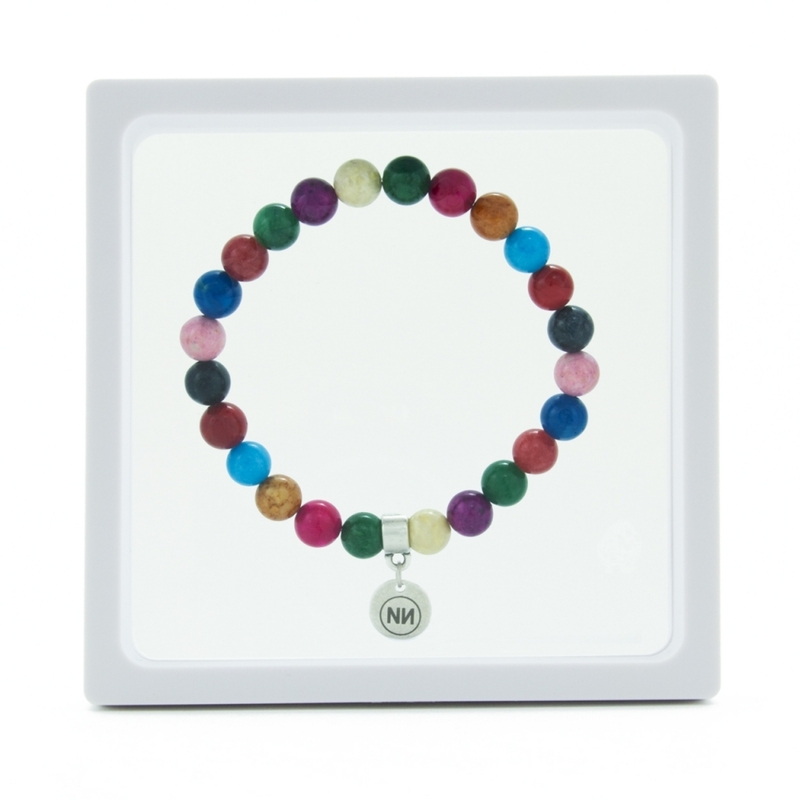 This bracelet is delivered in an original packaging that consists of: A 3D display box with two layers of latex that keep floating bracelet, and a container of translucent paper pergamenata that includes all the data and characteristics of the bracelet. 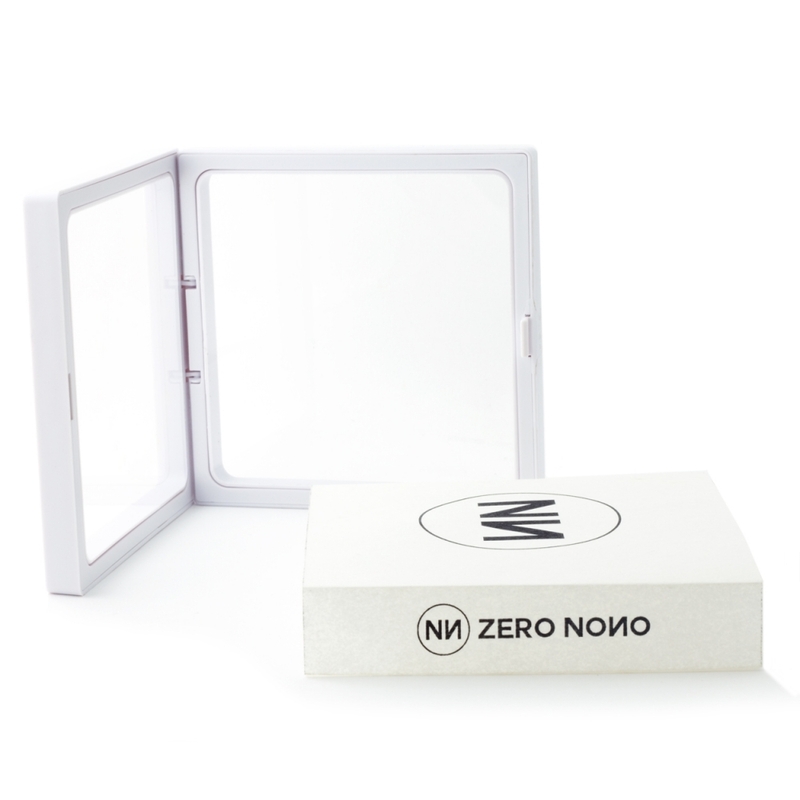 ZERO NONO is an original signature of fashion handmade, where different materials, minerals and semiprecious stones natural, come alive becoming authentic pieces of jewelry. 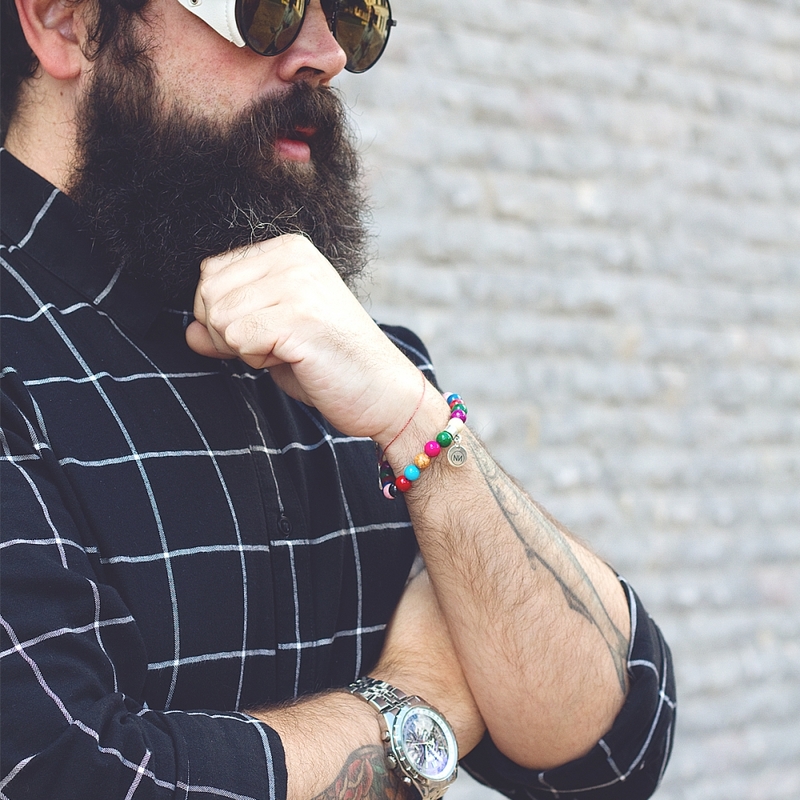 While ZERO NONO has qualified to certify the origin and quality of the materials used in its products staff, designers are only lines that trace the design of each of its parts according to the latest trends in fashion and accessories. SUBSCRIBE TO OUR NEWSLETTER RECEIVE A COUPON 10% OFF! - You can unsubscribe at any time. - You never get over 3 email per month.